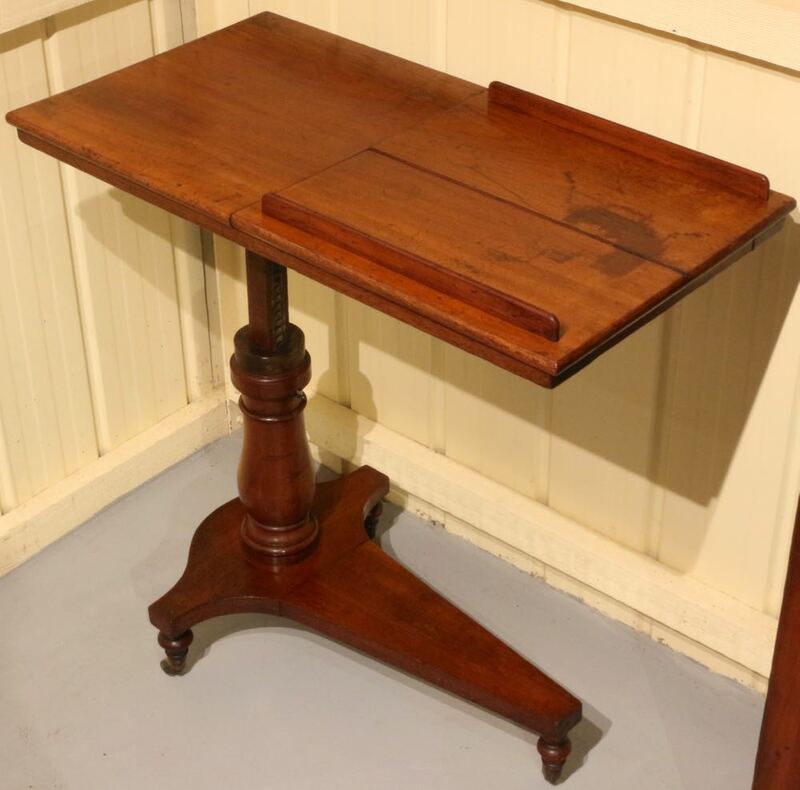 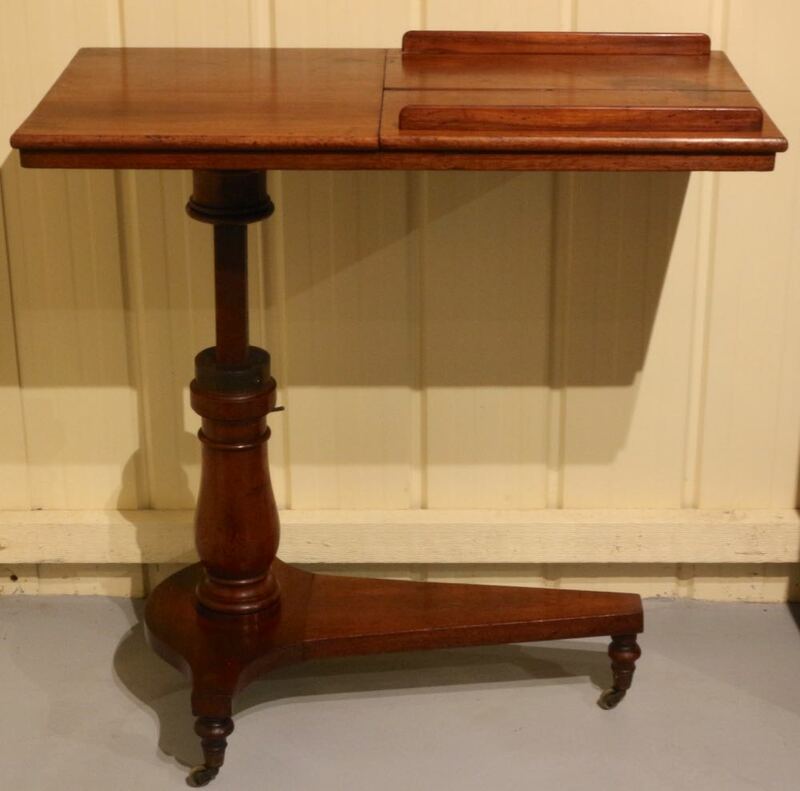 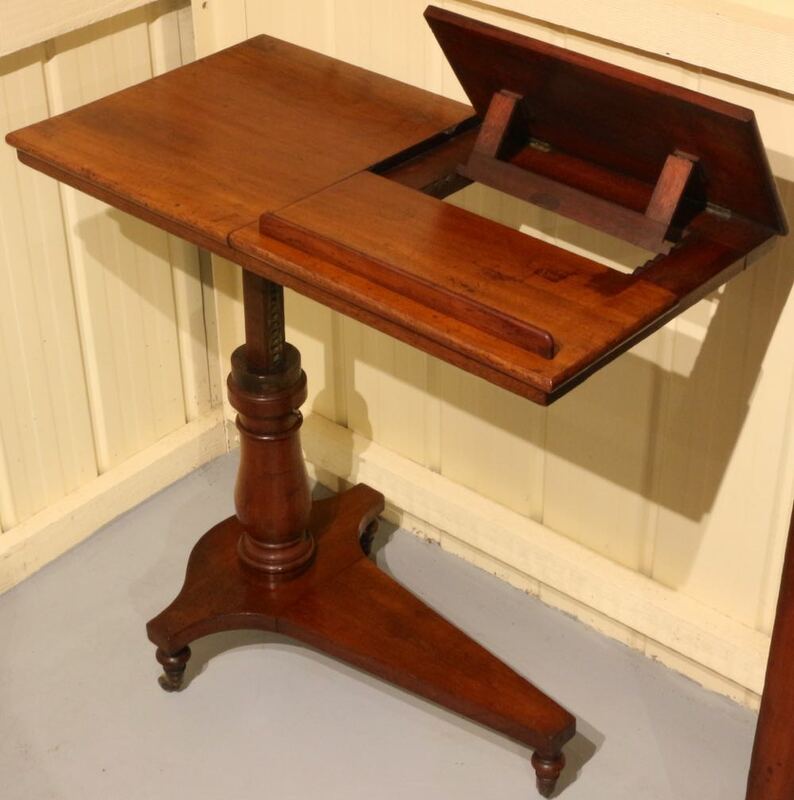 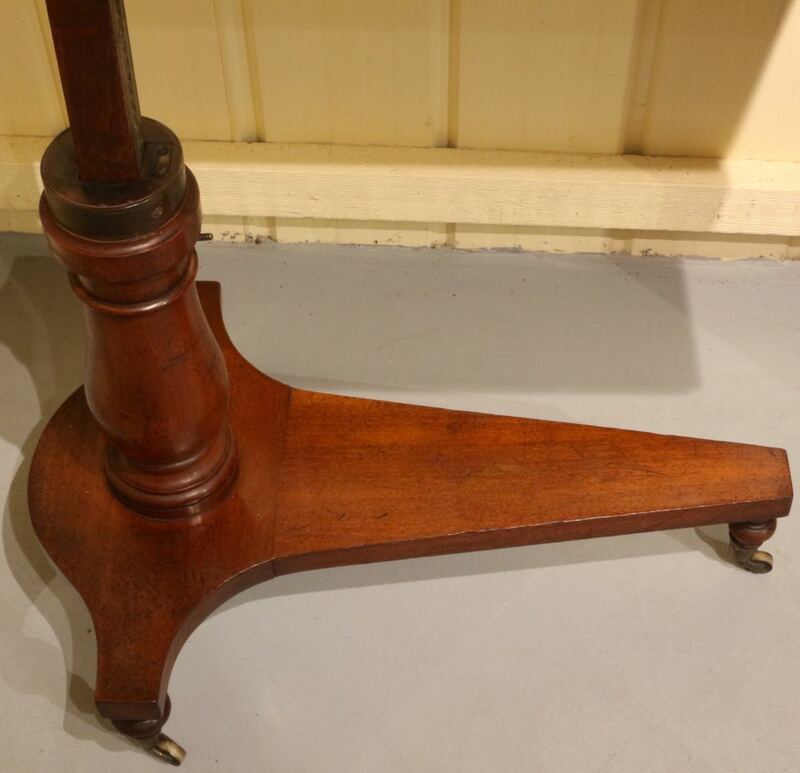 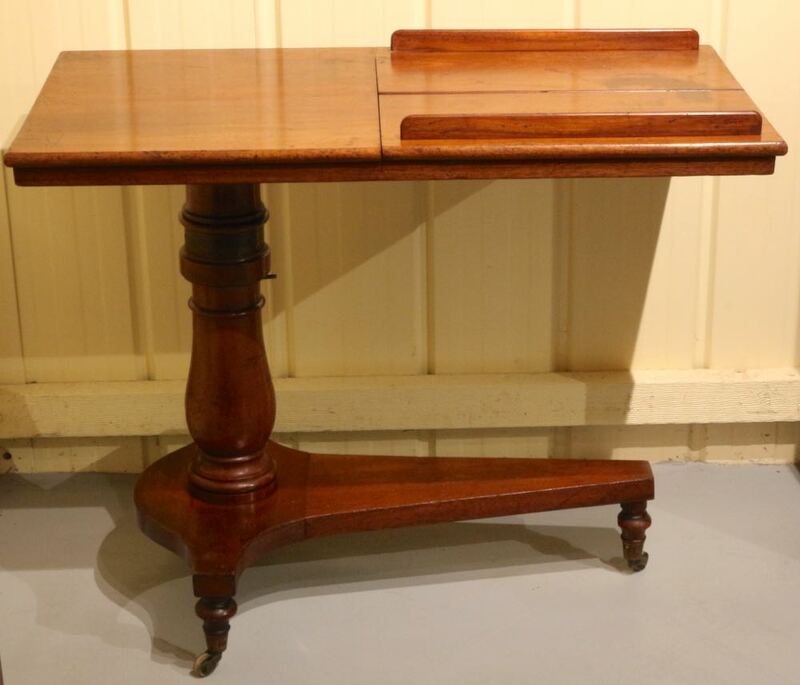 Early Victorian Mahogany Adjustable Reading Stand, with a turned centre column and tri form base to brass bucket castors. 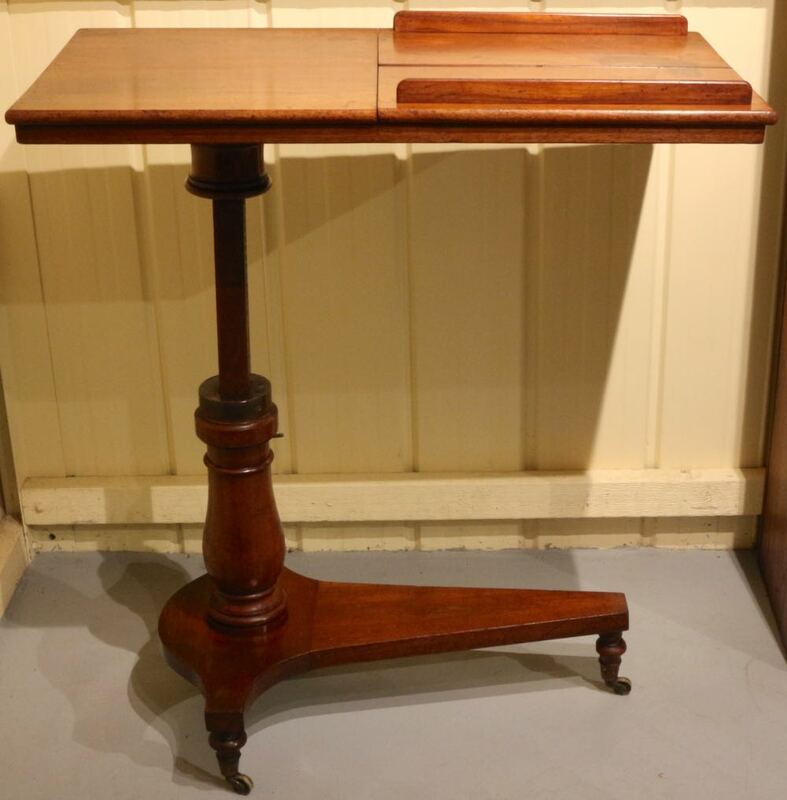 Height adjustable with two opposed bookrests, both with angle adjustments and removeable rests. 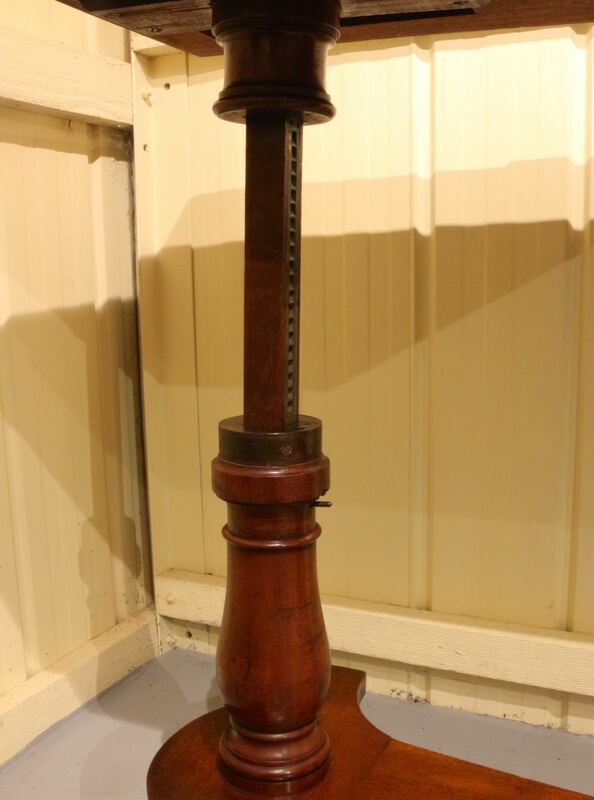 The height can be adjusted between a minimum of 72cm up to a maximum of 102cm.